Art Deco diamond drop pendant, featuring 0.68cts of round brilliant cut diamonds across a decadent diamond drop necklace design. Elegantly styled, the Art Deco Diamond drop pendant sparkles with the beauty of natural Round Brilliant cut Diamonds. 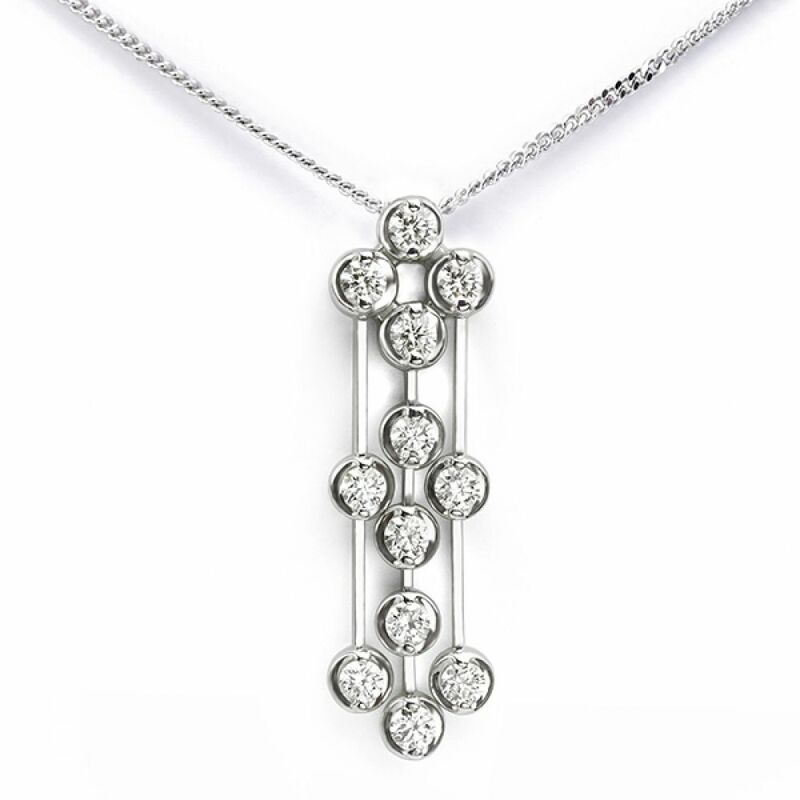 Arranged across three sections, Diamonds merge on freely moving bars of 18ct White Gold. Inspired by the Art Deco designs of the 1920's this unique pendant design achieves a Diamond weight of 0.68cts—graded G Colour and VS1 Clarity. The pendant measures just over 3cm in length and approximately 1cm in width. Delivered by secure courier, or available for collection, your pendant will be beautifully presented in its Serendipity Diamonds box. Typically available from stock, view the pendant within our showroom collection. Contact us for more information on any of our alternative pendant designs. Discover the matching Art Deco diamond drop earrings to match the Art Deco pendant design. Crafted with the same elegant Art Deco design, the earrings are available to purchase as part of the matching set. Alternatively purchase earrings or pendant separately.